As a licensed waste operator, we have measures in place to ensure the secure destruction of your surplus food products, thus protecting your brand. 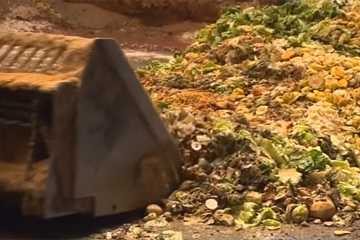 By making the most of your valuable food waste, there is an opportunity to save money on your disposal costs. We do what we say. You can be sure to receive a high level of service tailored to the specific requirements of food waste. By collecting your surplus food products and recycling these into animal feed, the amount of waste that ends up in landfill is reduced. We are constantly innovating to provide a better and more cost effective way to deal with commercial food waste in all its forms. We specialise in pre-consumer waste, collecting from food manufacturers, food importers, and supermarkets using certified processing and disposal procedures. We are able to take a variety of foodstuffs in a range of packaging. We strive to make the most out of the inherent value in surplus food, and see this as a resource, not waste. 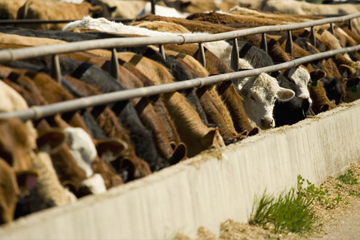 Our core business is recycling the food into animal feed, but are also developing solutions to make the most of food types not suitable for animal feed. 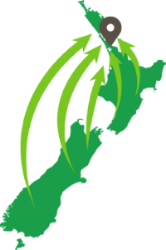 We undertake our own collections in and around the Auckland and Waikato regions, but can arrange transport from anywhere in New Zealand. At Eco Stock we deliver environmental and financially beneficial solutions for surplus food products by recycling these into stock feed. © 2017 Eco Stock Supplies Ltd. All rights reserved.